Apps are growing category, With their use as smart phone apps, and tablet apps, These are replacing traditional software programs. The two major categories are Android and Apple iOS apps. Users cannot get enough of apps, especially free iOS apps and free android apps. With more apps available, finding the best apps has become difficult. BuyVia helps you find the best android and iOS apps within categories including business apps, entertainment apps, games apps, Productivity apps, and utility apps. Our Free Food Coupons App for iOS and Android is available to help you say money on restaurant food. Check out some new coupons added today. 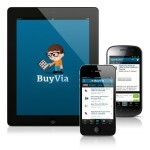 BuyVia has you covered when you eat out. Our new Food Coupons app for helps you save money at nearby fast food, casual restaurants, and even at pizza delivery places. The Food Coupons app is on iOS and Android. Pizza Coupons and discounts at Papa Johns, Dominos, and Pizza Hut.. Sandwich Coupons and deals at Subway, Jersey Mikes and many more. We Give back! We donate and volunteer at local food banks. Finally! Apple iTunes has a new Free YouTube for Kids App. 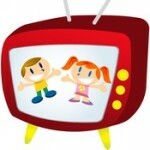 Safer and easier video viewing for kids 5 and under. Apple iTunes has WhatsApp Messenger - Free Apps for Free for the first year. Also available on Android. 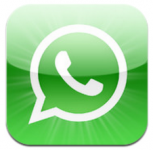 WhatsApp allows you to send and receive messages, pictures, audio notes, and video messages. They have recently changed to a subscription based model of $0.99/yr after the first free year. This is a small price to pay compared to texting plans.